Arya Institute Of Performing Arts (AIPA) Arya Institute of Performing Arts (AIPA) was founded in 2008 with the mission to provide a high level of music education to all students in all fields, level, age, and styles of MUSIC. AIPA is the only music institute in Lucknow providing High-level music education through ABRSM ( Associated Board of Royal School's of Music ) LONDON. AIPA is the only Music school in Lucknow providing western music education and a registered exam center for ABRSM- London. AIPA provides Indian Classical Music Education in fields of Singing and Kathak Dance. We Offers: Grand Piano Classes, Piano Classes, Guitar Classes, Singing Classes, Drums Classes, Violin Classes, Key-board Classes, Music Production/DAW. DANCE CLASSES IN LUCKNOW :- Dance Classes for Kids. Dance & Fitness Classes for Ladies. Bollywood Dance Classes. DANCE ACADEMY IN LUCKNOW Best MUSIC School in Lucknow. Music Institute for ABRSM prescribed Syllabus. Provides classes for STAFF NOTATION, Music Theory. Music classes for all age groups. AIPA is the Only Music School provides classes for MUSIC PRODUCTION from ROCK SCHOOL - LONDON. Music Production i.e. Audio production, electronic music production, mixing, editing, mastering or sound for media. AIPA IS THE BEST AND ADVANCED MUSIC SCHOOL IN LUCKNOW. AIPA OFFERS BEST & TRADITIONAL MUSIC COURSES IN INDIAN & WESTERN CLASSICAL MUSIC. WE FOLLOWS THE PRESCRIBED SYLLABUS OF ABRSM-LONDON TO GIVE THE HIGH QUALITY MUSIC EDUCATION TO OUR STUDENTS. JOIN AIPA TO LEARN MUSIC IN A BEST WAY. Music Increases concentration and Intelligence in students. Join Singing classes and make your dreams come true. 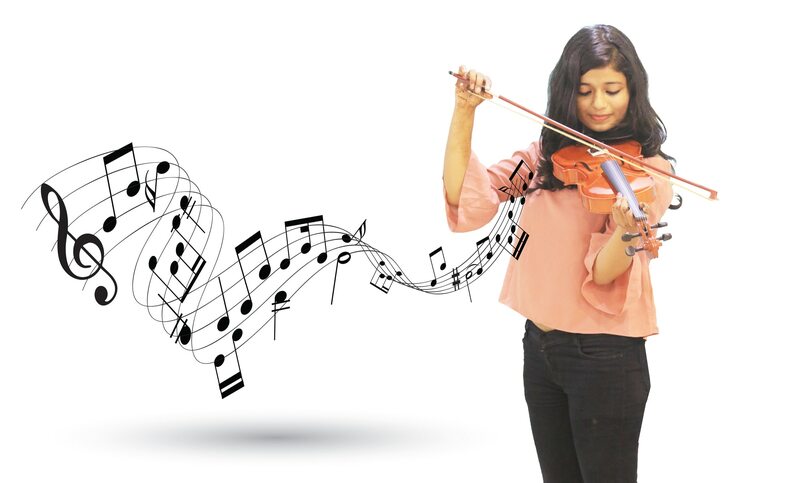 AIPA- Gomti Nagar is the best music school to give your passion to a new height. Best Vocal classes, we follows both new technical exercises and tradition style to give our students the aura and knowledge of our Indian Classical Music and best techniques to apply on today's Popular music. AIPA is the only music school in Lucknow provides the high quality music education in Western Classical Singing follows the prescribed syllabus of ABRSM-LONDON and conduct the Examination of ABRSM in Lucknow. Music Production? *Unrivalled Academic Grounding Music Production was built with academic grounding and industry relevance in mind. Every practical, theoretical and aural test has been written and developed by industry professionals to give students an unrivalled level of academic grounding. *Unparalleled Industry Relevance From a diverse range of production techniques, to highly relevant technical DAW skills, Music Production syllabus gives aspiring engineers and producers everything they need to progress and succeed in the industry. *Enhance Your Skills Designed to meet the needs of all aspiring recording engineers, electronic music producers, mix & mastering engineers; this syllabus caters for anyone interested in understanding the complete range of skills essential to modern music production. *DAW Agnostic We recognise that Graded Music Exams should be accessible and relevant to a range of backgrounds and abilities. With Music Production, candidates can take their exam using Pro Tools, Logic, Ableton Live, Cubase or GarageBand. Study in Your Own Time Music Production has been designed so you can study in your own time, giving you ample time to develop a wealth of skills and techniques that are highly relevant to today’s industry. *What is Music Production? Music production is the process by which a record producer or music producer oversees the recording and production of a track, single, or record. This may include listening in on recordings, making suggestions for edits and alterations, or working with other professionals to ensure the record comes out as well as possible. The music production process varies from band to band, but it always includes many of the same components. In some cases, music producers write material. In others, they simply oversee its production and organize the process into a cohesive and productive effort. *Reasons to Attend MUSIC PRODUCTION/Audio Engineering School If you’re interested in becoming a music producer, going to audio engineering school is a smart move. While it’s true that music producers aren’t technically required to attend a formal institution, having this background and experience gives you the upper hand on the competition and will make it easier to find job opportunities you’re genuinely excited about. Here are the top five reasons to attend music production school if you’re interested in entering the industry. 1. Music Production Schools Offer Extensive Education While working in an apprenticeship with an experienced producer can show you the lay of the land, a music production school will provide a much more comprehensive experience. Instead of learning to produce music from one professional, you’ll have the opportunity to learn from many professionals, each of whom has his or her own production style and preferences. This makes for a more well-rounded education and lays the platform for you to develop your own unique production style. 2. Music Production Schools Put You in Touch with Industry Pros Music production is an extremely competitive field, and the easiest way to move up and secure the positions you want is to be well-connected in the industry. Luckily, this is easy if you’ve gone to music production school. Because many of the professionals who teach music production classes are experienced producers themselves, people who attend this type of formal training are well-equipped to make the connections they’ll need to move up in the music production world. What’s more, attending audio engineering school puts you in touch with experienced professionals you can reach out to later for letters of recommendation, answers to questions, or tips about how to move up the ladder in this exciting industry. 3. Music Production School Gives You the Tools to Start Your Own Business Work with an experience music producer, and you’ll learn to mix tracks and oversee the production process. Go to music production school, though, and you’ll get an education in the business side of music production, which will provide the tools you need to go out and start your own music production company down the road. This is a unique perk of audio engineering school and should not be overlooked. Even if you don’t intend to start your own business, music production is a very business-savvy industry, and those with a background in business classes will be well-prepared to excel. 4. Music Production Schools are Versatile Music production schools offer an expansive selection of classes. This versatile education style allows you to identify and develop your own music production style, and helps you gain the skills and information you need to create your brand in the music production industry. This is virtually impossible without the benefit of audio engineering school, and it will be a much more difficult process if you choose an apprenticeship as your primary method of instruction. 5. Music Production School Prepares You for the Lifestyle While many people imagine the life of a music producer as glamorous and adventure-packed, it’s also time-consuming and difficult. People who aren’t prepared for this reality are likely to be disappointed. Fortunately, music production school prepares you for the lifestyle of a real music producer by acquainting you with the process of hard work, long days, and preparation. Once you’ve gotten comfortable with submitting assignments, working with other professionals, and trying out different production tactics, integrating into the world of music production is likely to feel much easier. *MUSIC PRODUCER Alternate Career Titles: Beat Maker, Producer Music Producer Job Description: A Music Producer writes, arranges, produces and records songs for other artists or for their own projects. Career Description Music Producers write, arrange, produce, and record songs, whether they’re shaping the sound of another artist’s album or creating beats or songs for their own projects. With the growth of home recording technology and boutique recording studios, many Producers find themselves pulling double or triple duty as Studio Owners and Sound Engineers.